The differences between cultures in the United States and Afghanistan can seem as great as the physical distance separating the two countries. The truth is, while what our troops experience in Afghanistan today may more closely mirror the United States five or six decades ago, parallels do exist. They aren’t always obvious unless someone—like M. Lyla Kohistany—can help bridge the gap. 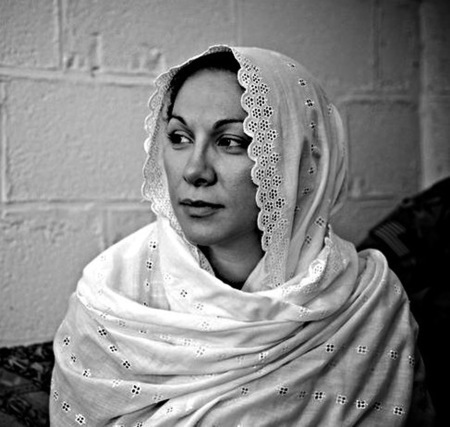 She says the similarities between our military culture and Afghanistan’s culture are very close. “We’re really not all that different from one another. The military is very much a collective, especially in the special operations world. It’s a family. They want to take care of each other and they believe in the strength of the team,” said Kohistany, a native of Afghanistan and former U.S. Navy officer. “In this part of the world (Afghanistan), that’s what drives them as well. Everything they do is about protecting and taking care of the larger group, whatever that may be—their family, their tribe, their ethnic group, the region that they come from. When Kohistany, a Defense Department consultant, talks to units serving in Afghanistan, or about to serve, about the area they’ll be in, she tries to put it into perspective for them by relating elements of Afghan culture to something they’ll recognize from their own experiences. That usually creates an “ah-ha!” moment, she said. For instance, there is a huge urban versus rural divide in Afghanistan. “When I explain that I have friends from Asheville, North Carolina, and friends who live in West Virginia and the way that they look at government … as being very different from me—who lives outside of the nation’s capital—they get it,” Kohistany said. This is how she goes about explaining everything from tribal dynamics, political institutions and ethnic conflicts, as well as some of Afghanistan’s age-old traditions—like the one that almost saw her become a tween bride. Kohistany’s father moved his family to the United States in 1982—first to Fresno, California, and then to Northern Virginia—to escape violence that was beginning to plague their homeland. By the early 1990s he was working with the United Nations Education, Scientific and Cultural Organization, or UNESCO. Nine years after her father arrived in the States, his job led him to home to Afghanistan. He intended to take his wife and 12-year-old daughter with him—his son was already serving in the U.S. Navy—where Kohistany would have been sold into a marriage, likely to a much older man she didn’t know. She said the prospect was terrifying. All of these pieces of insight help create a larger, clearer picture that undoubtedly serves deploying troops well, but there’s a piece of the puzzle she thinks is even more important. “We’ll talk about the history of the people in that province,” she said. “I think that’s very, very important. The way people fought or who they fought with or under during the anti-Soviet jihad is still extremely important today. In fact, an understanding of the events of the 1980s is crucial because the situation today is an extension of what happened then. It broadens troops’ knowledge beyond what they think they need to know—the information the redeploying unit can impart during the transition. She hopes this gives them a much more solid foundation than relying only on what the previous units can pass along. Kohistany is anticipating one more deployment to her native country to help troops better connect with their Afghan counterparts before the conclusion of the scheduled drawdown. Trips back to Afghanistan are bittersweet for Kohistany, though. Her father was killed shortly after returning and her mother suffered a fatal heart attack while visiting family there in 2007. While the security situation there prohibits her from visiting her parents’ graves, she sees hope. That’s huge compared to the time of the Taliban when there were no girls and only a few hundred thousand boys in school, she said. Though there is still resistance to change from the local level all the way up to the national level, it’s to be expected. “There are individuals that believe the only way that Afghanistan is truly going to be an Islamic republic is if there’s a stronger enforcement of Islamic law in day-to-day life,” Kohistany said. “I’m not saying that, in and of itself, will keep the country from progressing, but obviously that older generation is so focused on what they went through during the anti-Soviet jihad … and then the civil war. So much of that was fought on religious identity. As Afghanistan continues to search for its new identity, Kohistany said the changes thus far are encouraging. Even Afghans in rural areas have access to technology allowing them to discover alternative points of view. Music—verboten during Taliban rule—has made a comeback. Also not allowed during the days of the Taliban, televisions are more readily available and media stations offer dramatic programming and Oprah-like talk shows that address women’s topics. “You’ve got Bollywood-type dramas that are like soap operas and they actually deal with family issues. They have a show that is similar to 24 called Eagle 4,” Kohistany said. There’s even Afghan Star, the local equivalent of American Idol. The popular TV show—counting several women among its contestants in the first eight seasons—is another example of the country’s growth and progress. When Kohistany returns from Afghanistan sometime next year, she’s looking forward to putting her hard-earned G.I. Bill benefits to good use parlaying the topics that interest her into a master’s degree. “I’m fascinated by radicalization—by religious identity as a source of radicalization—and so I really think I would like to get a degree along those lines, something dealing with religion, dealing with counterterrorism efforts,” she said. Until then, she will make sure our troops are armed not only with the skills needed to complete the mission, but the knowledge and understanding to complete it with grace. –Samantha L. Quigley is the editor in chief of On Patrol.